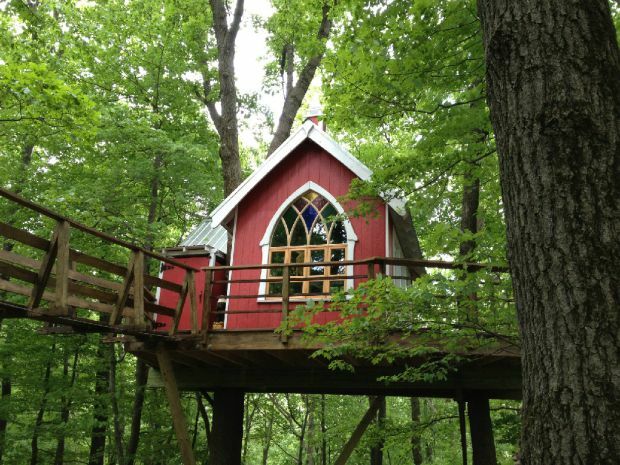 How would you like to stay overnight at an adorable little custom-designed treehouse, or host an event or even get married at a place like this? Well, now you can! The Mohicans, located in Glenmont, Ohio is the perfect unique venue for your next celebration or getaway. Featuring granite countertops, radiant heat, and indoor and outdoor showers, you don’t have to give up any luxuries to stay here, yet you get that cozy rustic feel we all crave. 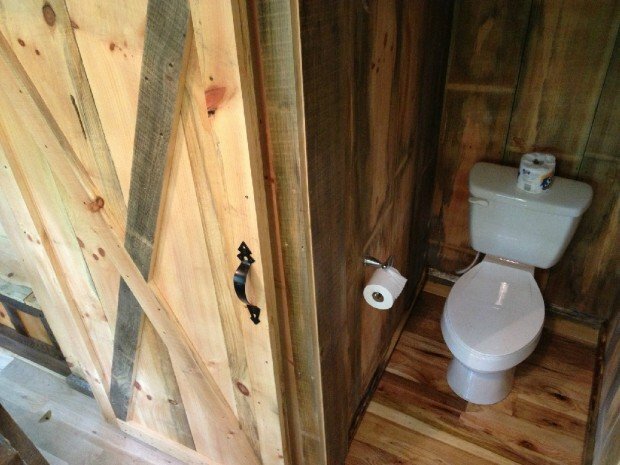 Take a look at all these photos and tell us what you think! 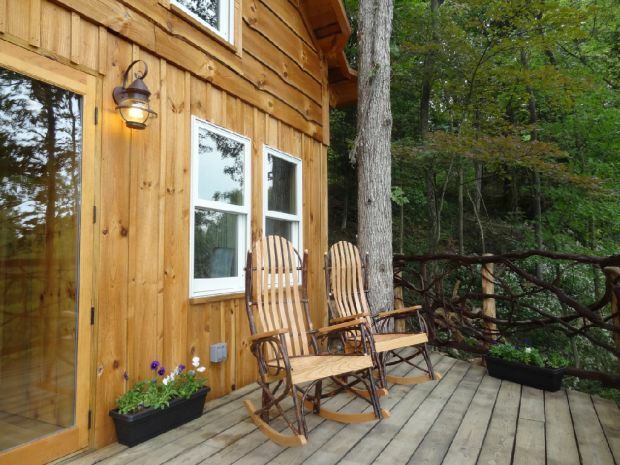 White Oak tree house is suspended from white oak and hickory trees on a hillside overlooking the Mohican Valley and is accessed from the hillside by a beautiful bridge. 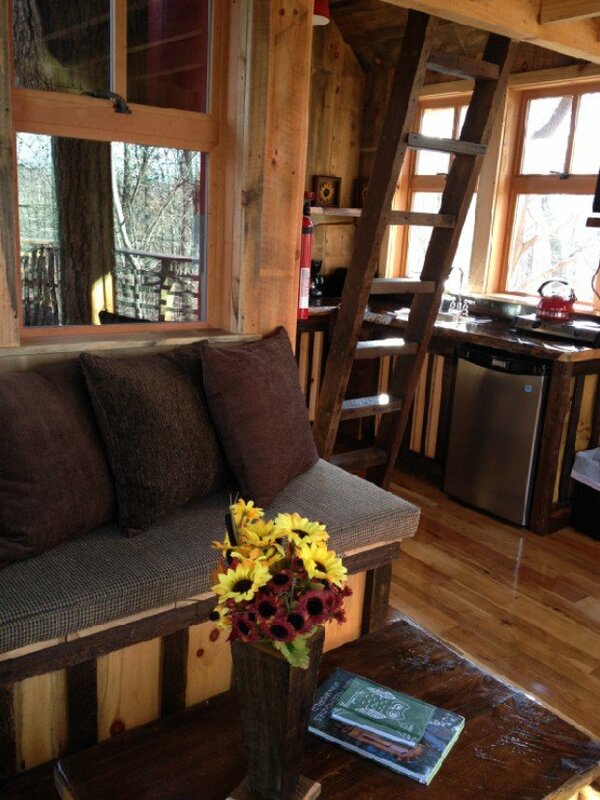 The tree house has grapevine railings and a cedar double door entrance. 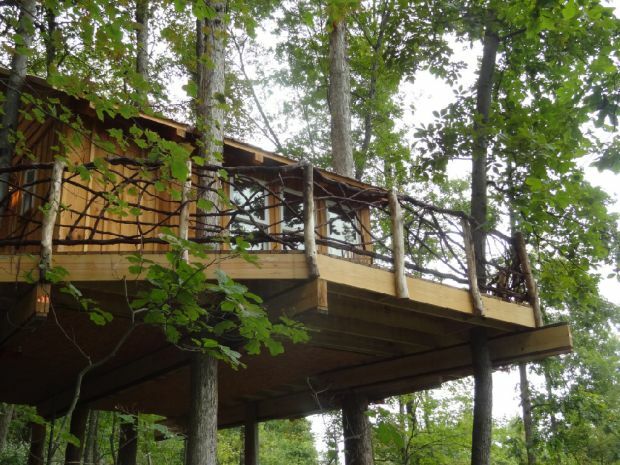 If you have a more adventurous side, this newest tree house may be your choice. 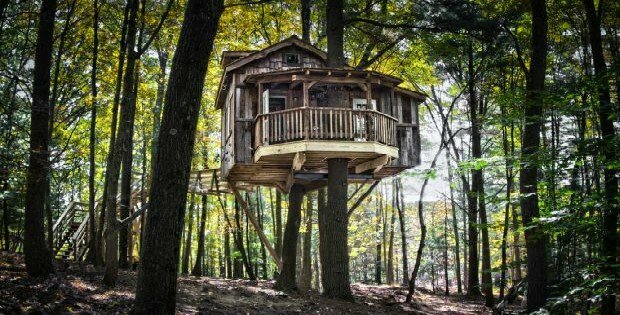 This 2 guest tree house was originally constructed for the Animal Planet/Discovery Channel Show “Tree House Masters” featuring world renowned tree house designer, Pete Nelson. 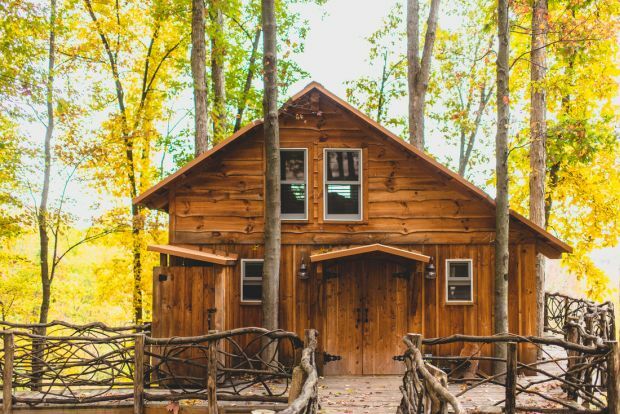 THIS LOG CABIN IS OLD, BUT GOLD!